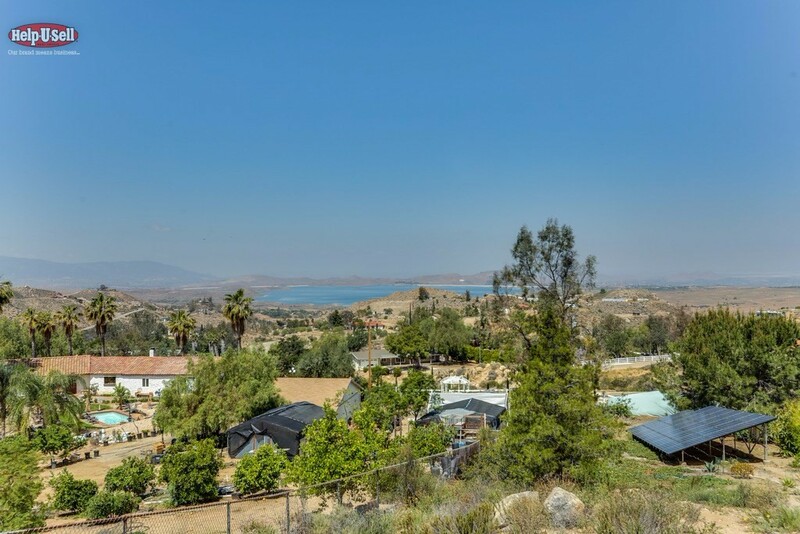 A beautiful Custom Built Lake Mathews pool home presented on 2.38 acres of very desirable property with breath taking views of Lake and the Inland Valley. The home features two levels of spacious living with many custom amenities including an Office / Library with custom oak cabinetry and a HUGE second Master Suite on the first level with its own private entrance to the outdoors. The home was built in the year 2000 with approximately 3076 SF of living space including a welcoming front Entry, Livingroom, Dining room, Family room, Office / Library, Laundry room, five oversize Bedrooms with and five Baths, Livingroom and Family room and a well-designed Kitchen with custom Oak wood cabinetry and Corian countertops. The second large Master Suite is located on the second level. The home shows Wood flooring on the first level stairs and Carpet on the second level. The rear exterior of the home provides a custom pool / spa in a private patio settling with a BBQ Island with lots of shade, five pipe corrals at the front of the property can accommodate up to five horses, two sheds one used as a tack room and the other for storage. Plus an Arena and Riding area. The front entry to the property is gated and there is a lot of trees and plenty of shade. Plus there is a leased Solar System!! !